Frankel Dentistry and associates always keep a close eye on the latest dental technology in an attempt to ensure that we are able to provide our clients with the most efficient and up-to-date service possible. As such, we have replaced many standard dental items with more advanced options. One example is a procedure called air abrasion, which we have utilized as a replacement for the standard dental drill. Compared to a standard drill, or a drill of any kind really, air abrasion allows much more of your tooth's natural structure to be maintained. Not only does this make dental work appear more discreet, but it also reduces the risk of issues such as enamel micro-fracturing and other complications. The equipment produces no vibrations or heat, and as such very little or even no anesthetic is necessary. Quieter, faster and dramatically less invasive than a drill, air abrasion can be considered a marked improvement over its successor. At this point many of your are probably asking yourselves how this procedure works, how it can bore into your teeth with more speed than a drill without producing heat or vibrations. The process of air abrasion is accomplished though the usage of microscopic aluminum oxide particles which reach your tooth through a high-pressure stream. 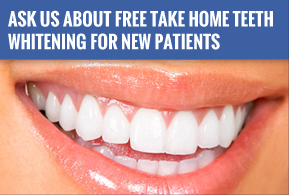 When they arrive at their ultimate destination, your teeth, they begin bouncing around the surface of their new home, eliminating decayed tissue. Once they are done, your tooth will be ready for its new filling. Not only is this process easy and painless, but it's also quick. Indeed, each tooth is ready in just about a minute. Because of its easygoing nature, air abrasion is ideal for children, but there's no reason why adults shouldn't consider the process as well. After all, who doesn't like to be comfortable? It's equipment like this, as well as the caring which lead to its discovery, that puts Frankel Dentistry ahead of the rest. Call us today to receive the help you deserve.